Godafoss, Iceland – Photo was taken at 11:08pm! Iceland is really north….really really far north. In fact, this image above was taken at 11:08pm during the summer. Can you believe it? Incredible! Iceland is a beautiful country, so I cannot fault you for trying to look for job opportunities in this gem of the northern Atlantic. If you are dead set on living and working in this country, it is possible. Below is a selection of resources (based on word of mouth and personal research) for searching for employment opportunities as a foreigner in Iceland. Guide to Iceland: A good writeup on jobs in Iceland. US Embassy: Job openings pop up from time-to-time at the US Embassy in Reykjavík. Job.is: This site generally doesn’t have an incredible amount of vacancies, but it sure has a ton of people LOOKING for work. Alfred.is: Alfred.is has mostly white collar jobs. In this case, your best bet is to learn Icelandic before you apply because that will be required for most of these positions. Most of the population of Iceland speaks very good English. Sorry, don’t go looking for a teaching English job in this part of the world. Ninukot: If you are interesting in doing odd jobs such as milking cows and growing vegetables, Ninukot is the site for you. There you have it. The best places to find jobs in Iceland as a foreigner. 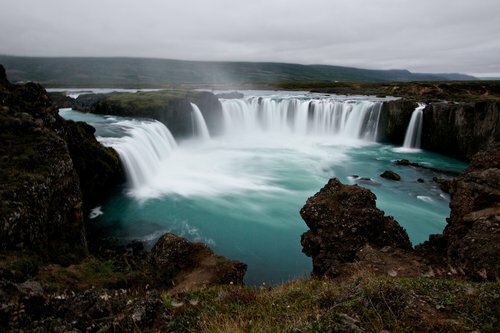 For information on visas for Iceland, be sure to check out my Iceland visa page. If you are single and are looking to spice up your dating life, check out my reviews of the best dating sites in Iceland.